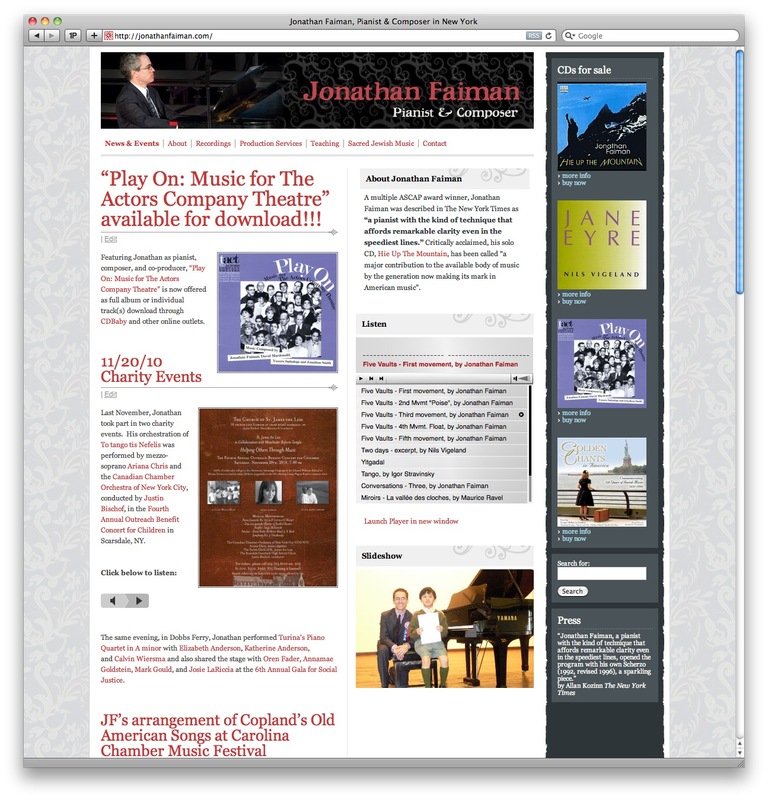 Jonathan Faiman is a pianist, composer, teacher and orchestrator/arranger. His site was several years old and very rudimentary. His new site highlights his CDs and showcases his various talents, with a music player that features both music he has written and performed, as well as his interpretation of a wide range of piano repertoire.